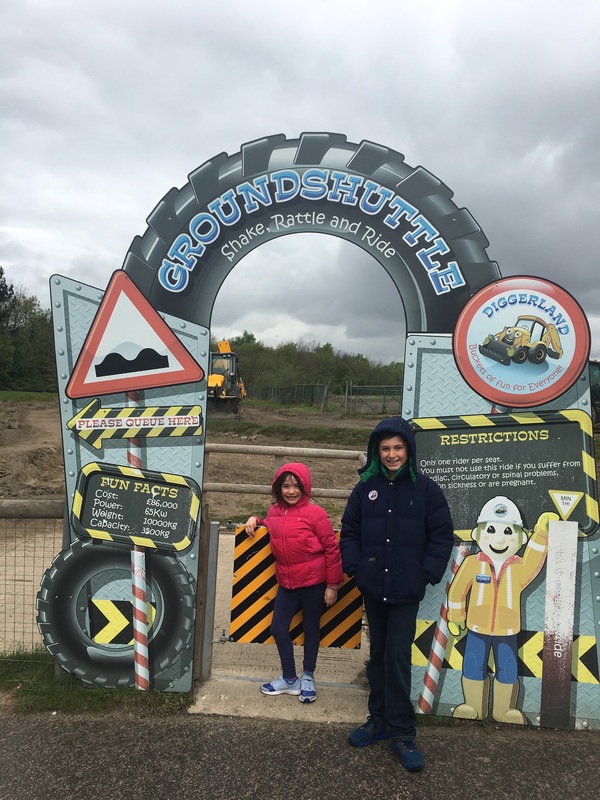 We were very excited to be invited to review Diggerland in Castleford, Yorkshire. Petrolhead A was particularly giddy at the thought! 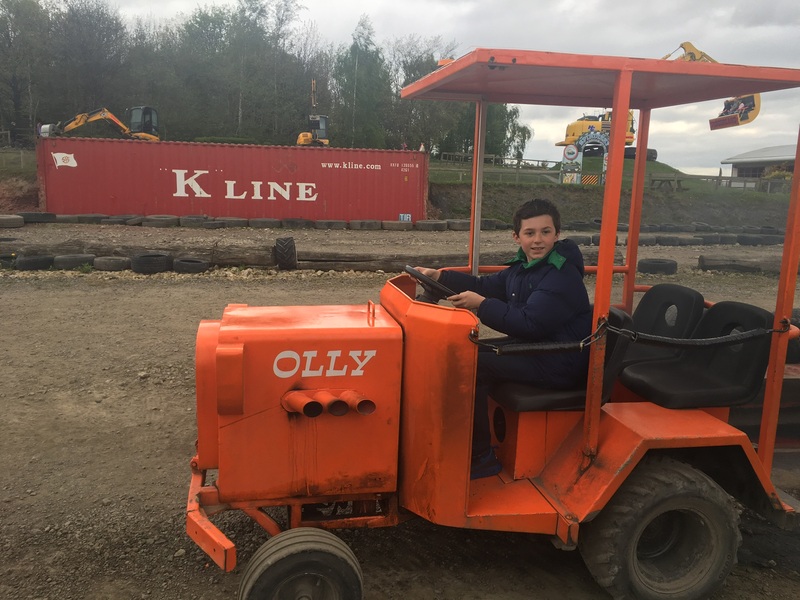 The prospect of riding, driving and operating real full sized construction machinery is literally the stuff dreams are made of for 10 year old boys – right? 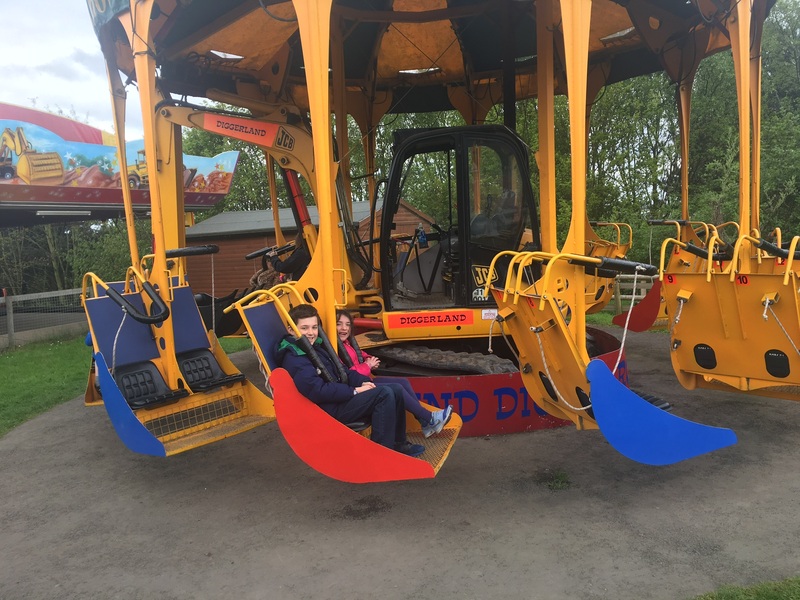 Let me assure you though, there is plenty for all the family to enjoy at this fantastic attraction – its a wonderful day out for all. 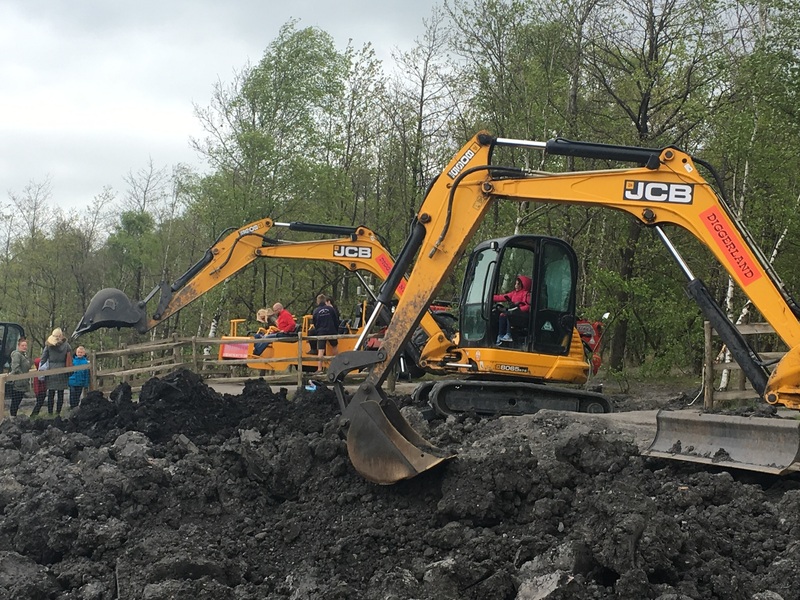 There are four UK Diggerland Adventure Parks. Click on the links below for addresses and directions to each. We visited the one in Yorkshire. 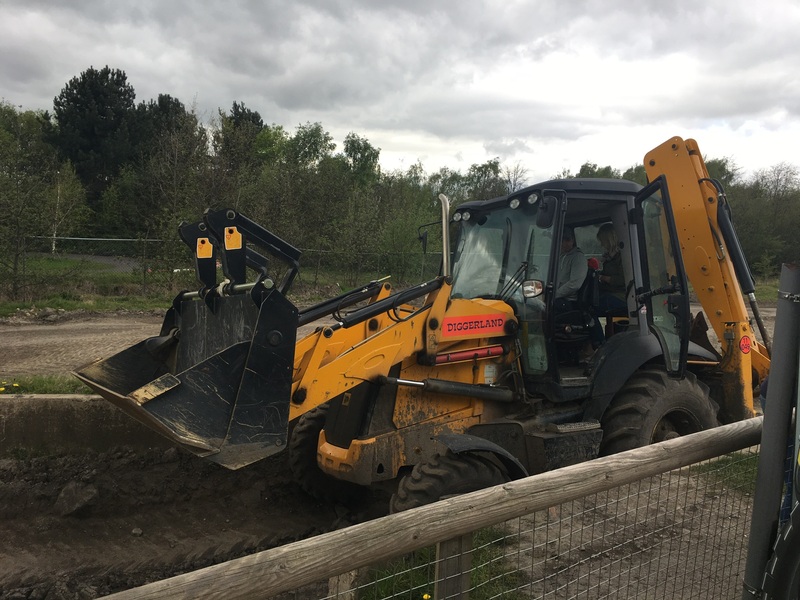 Discounts are available if you pre-book on line and Diggerland also accepts Tesco club card points – the details of which can be found here. 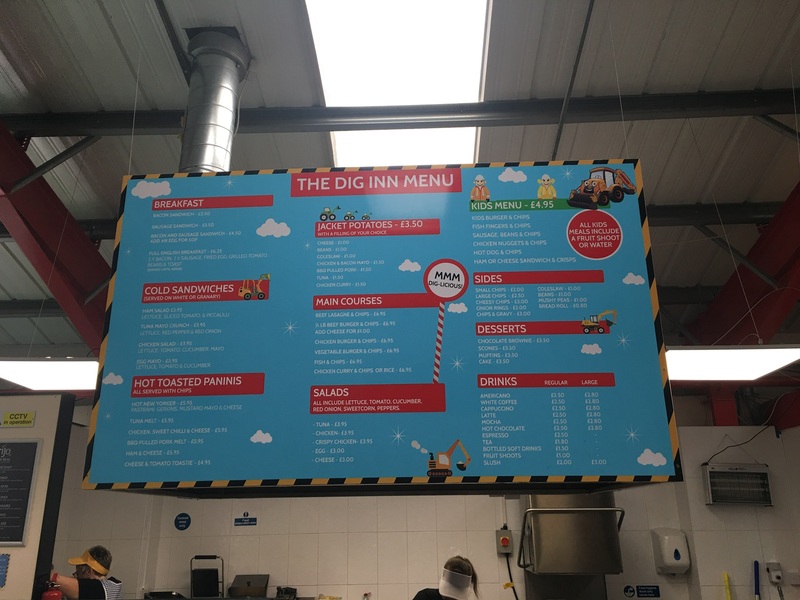 An extensive age/height restriction chart can be found here – I absolutely assure you there are plenty of things for everyone to enjoy. 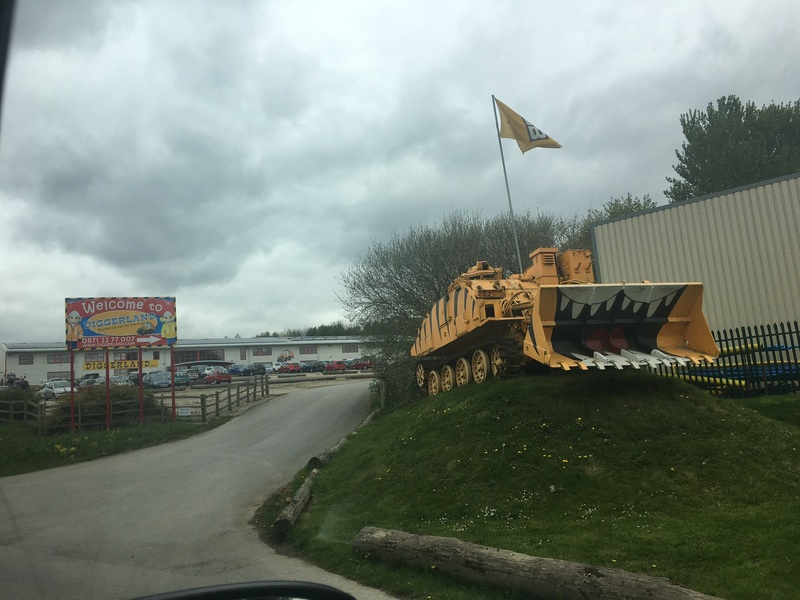 The Yorkshire park is very straightforward to find, just a few minutes from the M62 (sat nav post code for Diggerland, Yorkshire – WF10 5NW). There is a good – sized car park. As you enter the reception area it has a fresh and organised feel, and clean toilets are available directly after you have bought your tickets. The park itself is not huge, but its crammed full of things do get involved with. 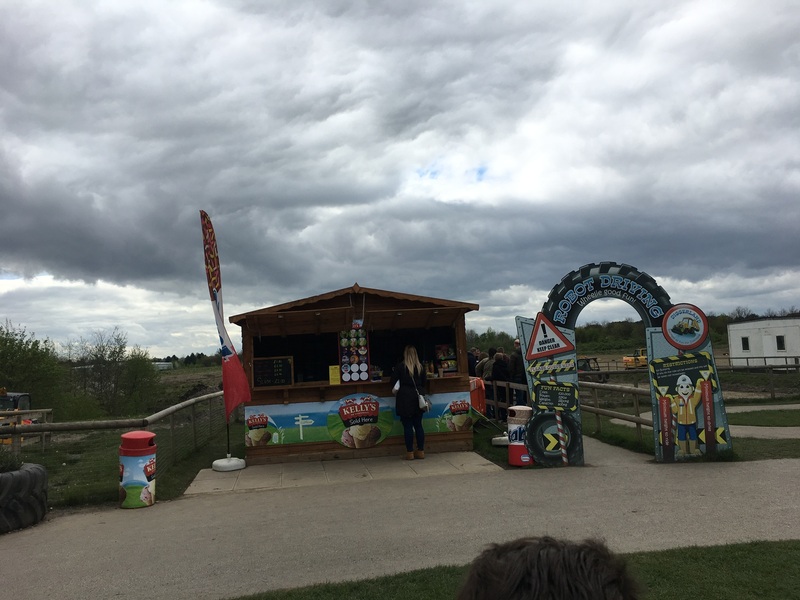 A couple of the first rides that we came to required payment (the dodgems and mini-vehicle driving) – don’t be alarmed, these are easily by-passed and almost all the other rides are included in your admission. The queues for all the rides where small, which was excellent. Any restrictions are clearly stated at the entrance to each. 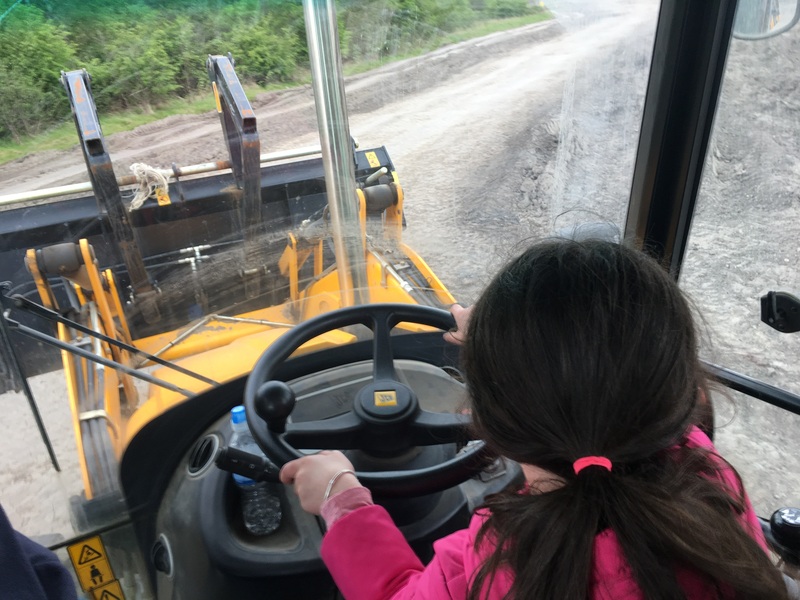 The most wonderful thing about Diggerland is the fact that the kids are able to get in and have a go on so many of the rides. 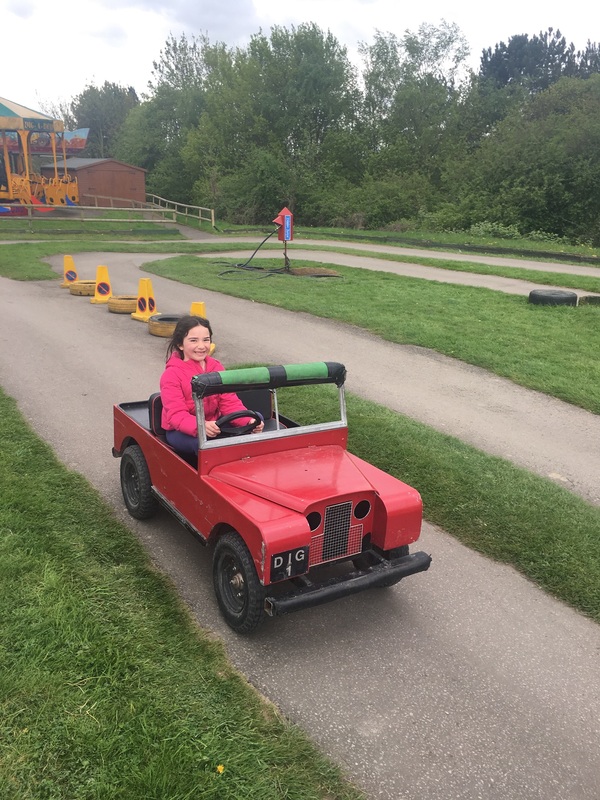 My daughter is 6 and approximately 1.10 tall and was able to drive everything there. 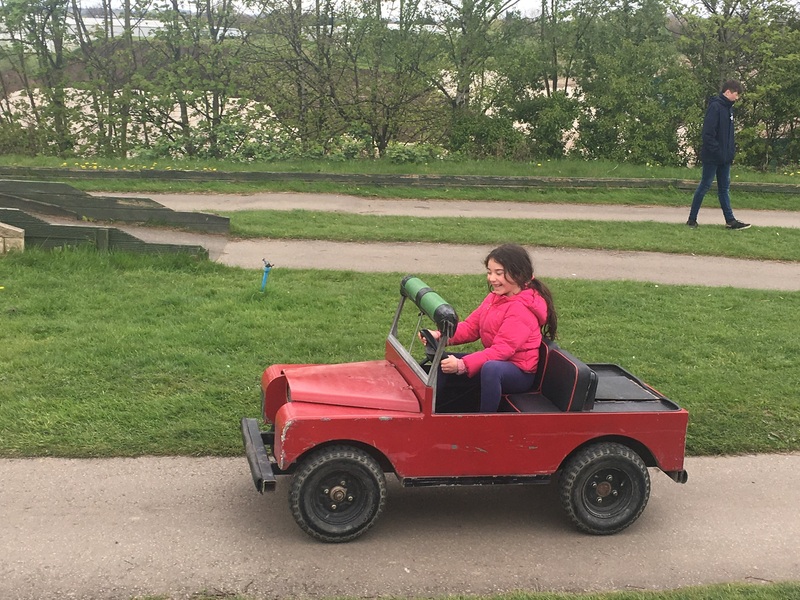 Aswell as the driving and digging experiences and the cute rides for little ones, there are a couple of more adrenaline filled experiences. Like, for example, Spindizzy. Once the sweet young lady gets behind the controls of Spindizzy she changes into a terror inflicting sadist who feeds off the petrified faces of the parents strapped into Spindizzys bucket. Round and round it goes, really fast one way, and then the other. Oh and very early on in the ride there is a camera set up to take your picture – so don’t forget to grimace! It went so fast I had tears streaming own my face – the kids thought I was crying. Which I obviously absolutely was not. Promise. Oh the relief when it came to a halt. Oh the horror when the smallest child starts begging immediately to go back on. Thankfully sweet young lady is back and tells Princess D that you have to have at least 10 minutes rest before you can go back on. Just enough time for me to regain my composure, and the control over my very wobbly legs then. I am a ride – wuss. And I rode Spindizzy, twice. So you people have no excuses at all. There is an indoor soft play, which is fantastic if you get caught out by the good old English weather during your visit. There is also a nice sized cafeteria with a very decent selection of hot and cold food and drinks. Picnicking is also welcome , there is lovely picnic area outside too. There is an off road driving experience as well many more rides and experiences to enjoy. The Ground Shuttle is a must ride. 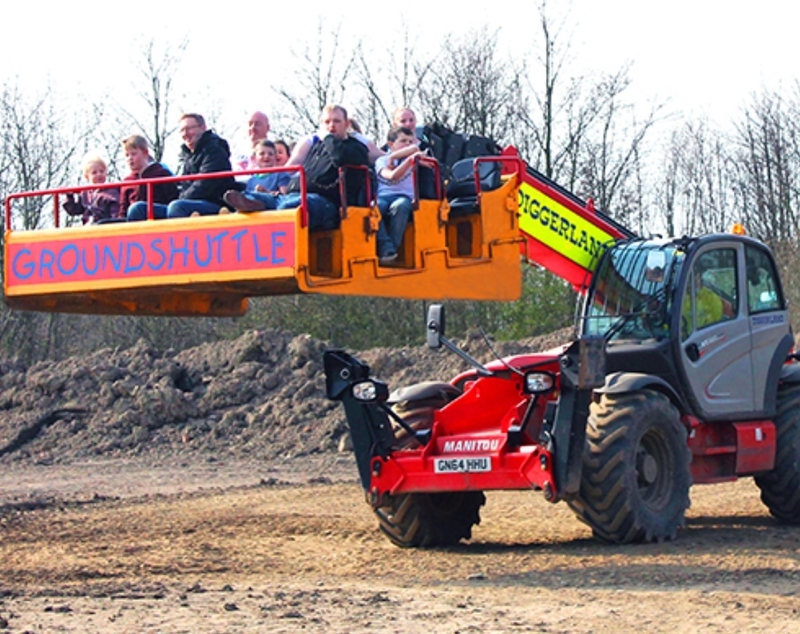 You climb aboard a purpose built carriage mounted onto the arm of a Manitou Telehandler and strap in. 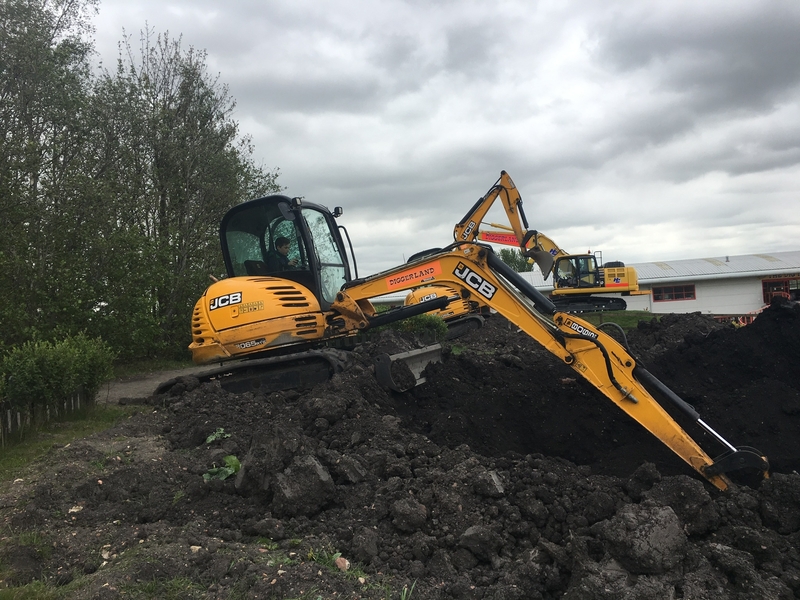 The arm lifts and off you go, across country, around a specifically designed course full of twists and turns and enormous bumpy ruts. 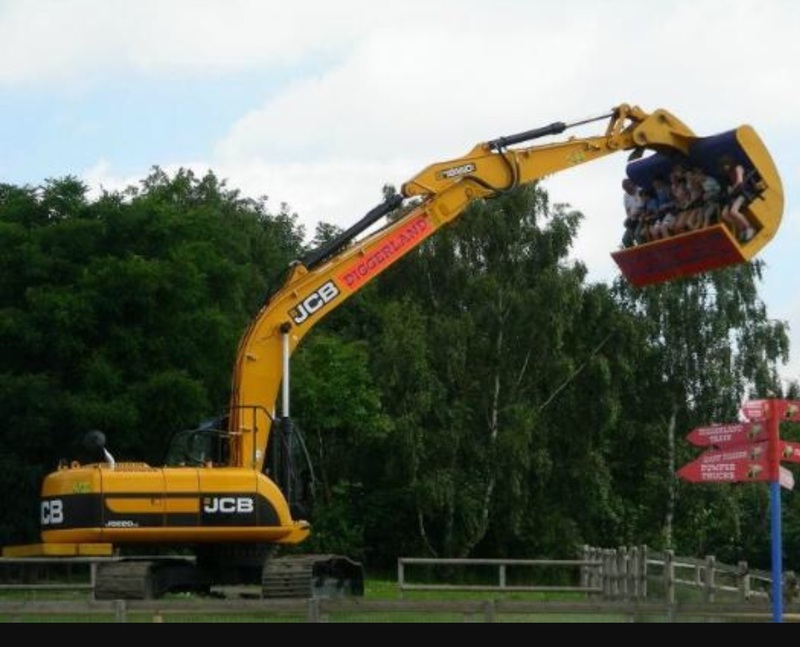 Hold on tight as you get tossed and flung around – its fabulous fun! The staff are all wonderful, very enthusiastic and friendly. 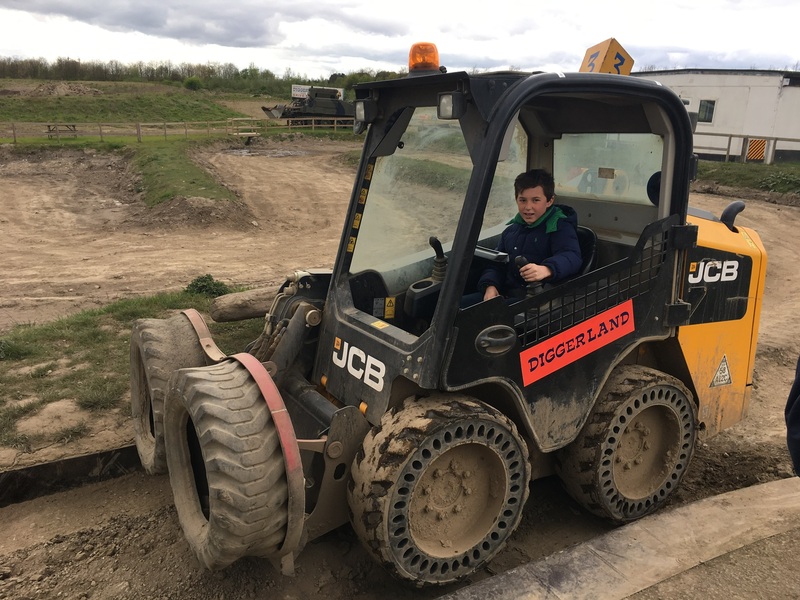 Whether you are parents of boys or girls, babies to teenagers, a trip to Diggerland must be on your list – its a fabulous, fun day out that’s a bit different and that everyone will enjoy.